For those of you who know me, you know that I am very passionate about giving back to the community when I am able. Coming up in the next few weeks, I will be out of the office for a week to spend the week volunteering as the lead optometrist for a clinic here in Omaha. The clinic is put on with the cooperation of two non-profits, OneSight and Building Healthy Futures. OneSight is a non-profit that works to provide vision care and glasses to people in need on a local, national, and global levels. OneSight has two clinic types: short term, like the clinic I am helping on, and sustainable clinics, where teams go on and off for about a two-year period to train people in remote areas on how to provide vision care. Once established, these clinics are self-sustaining and hopefully permanent. Building Healthy Futures is a non-profit that works in the schools to bring care for student needs. They do a lot of partnering with dentists, nurses, and optometrists/ophthalmologists, which is where the upcoming clinic comes in. This is the second year for the clinic to be held in Omaha. 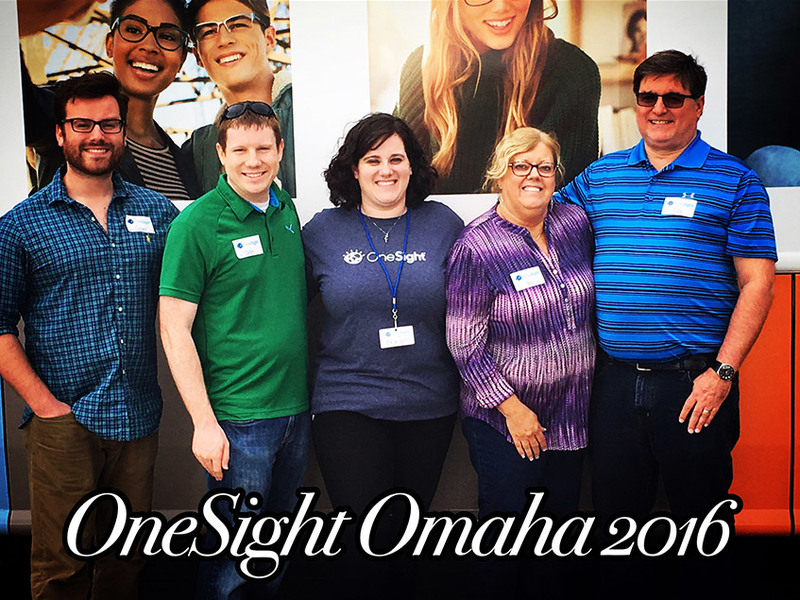 I had the privilege to serve as the lead optometrist for the Omaha OneSight clinic last year as well. 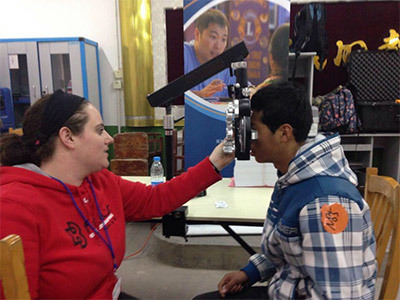 My role is to help organize both staff and volunteer optometrists to help run our clinic. It is also my responsibility to help coordinate a process for follow-ups and referrals for students who may need additional care. Additionally, being from Omaha, I help coordinate meals and a day of entertainment to show off our city to the team. Our team comes from all around the United States, and some from across the ocean as well. This year, we have people from many states in the U.S., but also have team members coming from Canada, China, Italy, and Germany. Last year, we took everyone to the Henry Doorly Zoo for the day. I loved that a bunch of adults seemed skeptical about going to a zoo for the day, and they all wound up wanting to stay later than our original depart time because they were enjoying it so much. We have decided that the group this year will love it just as much as the 2016 crew did. We also take them to dinner at local restaurants that they may not have back home. It’s a great time for all of us. "Our team comes from all around the United States, and some from across the ocean as well. This year, we have people from many states in the U.S., but also have team members coming from Canada, China, Italy, and Germany." On this clinic, we will see approximately 600 kids from the Omaha Public Schools system who have been pre-screened and flagged for eye health issues, vision issues, or both. If we determine the student would benefit from new glasses, he or she will have the opportunity to select a brand-new frame, and the glasses will be made on-site for them. Unless the student has a really tough prescription, he or she will receive the new pair of glasses in less than an hour after the exam. If we cannot process the prescription on the RV, we outsource it, and the student will receive the glasses in a few weeks. If the student has health issues that need extra attention, I will see them back at this office, or we also have arrangements made with various specialists in town to take over the student’s care if needed. It is really a pretty smooth process. 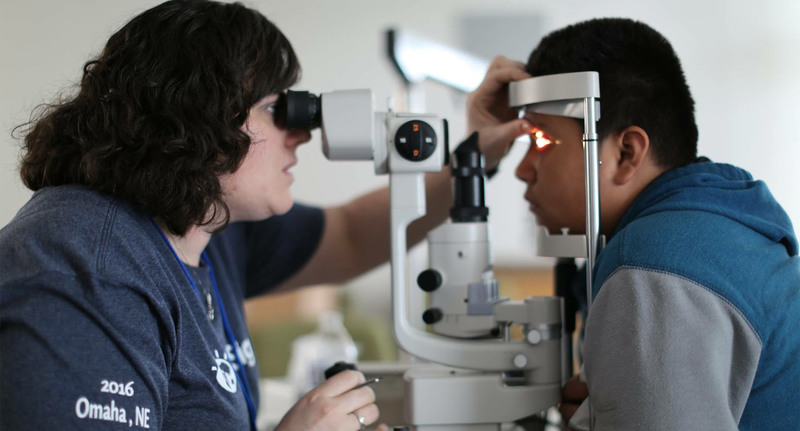 "On this clinic, we will see approximately 600 kids from the Omaha Public Schools system who have been pre-screened and flagged for eye health issues, vision issues, or both." And, as always, crowd control and entertaining the kids who are waiting to proceed to the next step in the process. If you are interested in volunteering, please check out this link to sign up using the Sign Up Genius platform. No experience is required. We just ask that you love kids and be flexible with where you are asked to serve. We’ll even provide lunch for you! If you can’t help on clinic, but want to donate to this cause, please follow this link. For a frame of reference, $20 provides an eye exam and new glasses to a student in need. Our team goal is a little over $15,000, which only puts a dent in the cost to put on such a clinic. Your donation is tax deductible as well. 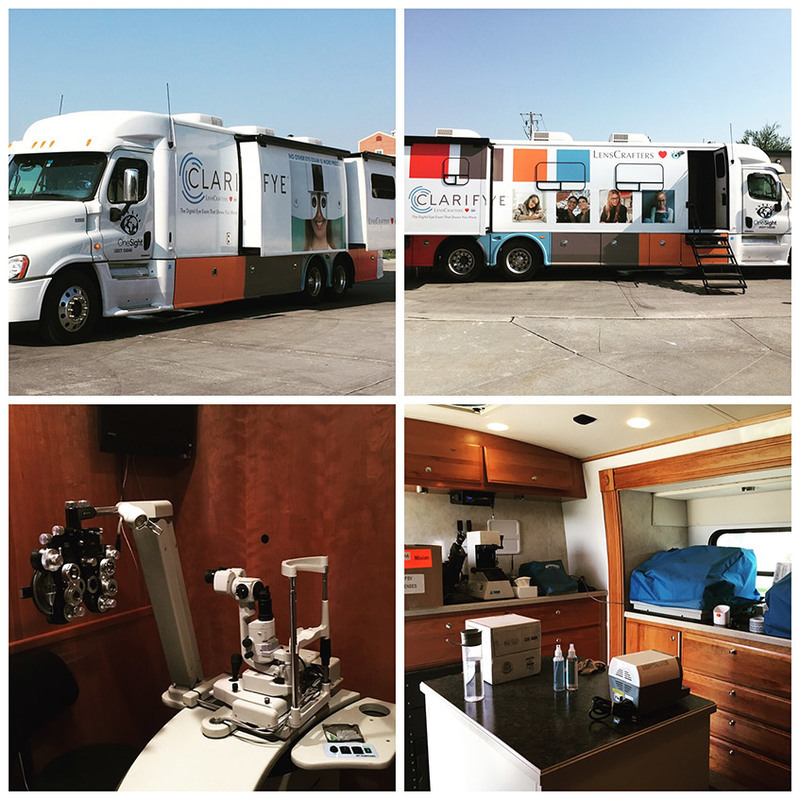 Here’s a few pictures from the previous OneSight clinics I have participated on. 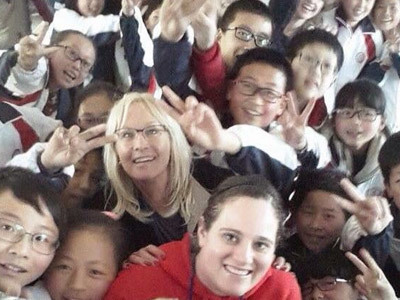 My first clinic was a two-week clinic to Xi’an, China, where we saw about 4,000 students and teachers. The second was last year here in Omaha.